Techno pioneer who established funky techno and founded a dance magazine in Hungary. He is one of the most outstanding figures of the Hungarian dance scene. His works are so diverse that it’s impossible to write about them in just a few sentences. Let’s have a closer look at the milestones of DJ Budai’s career. Budai learned how to DJ at the end of the ‘80s, and then he began to build his career deliberately. He became second at the Hungarian DMC in 1990, then he got residencies at Hungarian clubs called Hysteria, E-Play and Dark Side. From the mid-90s, he became a regular at the two Hungarian super clubs (Flört, Palace), and from then on he has been a dominant figure in the Hungarian dance scene. With his friends, Budai founded the first dance magazine (FreeE) in Hungary in 1995 and he continued his mission there until 2005. However, DJ Budai became known by a lot of people when ‘Techno-House Classics of '93-96 - Mixed by Budai’ came out. This was a real trendsetting compilation which launched an avalanche on the Hungarian market. The enormous success brought him two more compilations at Universal Records, ‘Budai - The DJ Mix 2.’ (1999), ‘Technologic vol. 1 - Mixed By Budai’ (2001). A year later, Underground Records published ‘2002’ on which Budai also experimented with deep house beside his unique techno sound. In 2004, ‘Live - Funky-Techno Roadmovie’ came out which was an outstanding DVD where you could follow the DJ and his crew travelling from one show to the other. This was the first DJ road movie in Hungary. In 2005, he created a compilation for Egotraxx Records (‘Budai & Vic Present: This Is Ego’). His latest official compilation was ‘I Love Deep 001’ where Budai represented the deeper sound of house music. Beside the gigs and official compilations, Budai has been a successful producer right from the beginning of his career. His first success was ‘Forthright’ and it also appeared on TV in 1999. Together with his colleague and friend DJ Newl they produced ‘Blue Nights Are Beautiful’, which became a hit in the clubs in 2001. Thanks to another collaboration (Budai & Vic) some more outstanding tracks followed (‘Macoosa’, ‘That's What We Call Phunky’, ‘I Love Deep’, ‘Once Again’, ‘Luv U’, ‘U Just Don't Know’, ‘Viami Mice’). As a result of this collaboration, their own label, Egotraxx Records was born where apart from their techno tracks, Markantonio, Marko Nastic, Alexander Koning, DJ Preach and Allan Banford also published their music. Budai’s deeper sound is represented by I Love Deep Records. The tracks of the label appeared at Nic Fanciulli’s, The Timewriter’s and Terry Lee Brown Junior’s compilations. Budai’s schedule is full, he’s a popular DJ at home and internationally as well. He’s been a regular at the biggest Hungarian dance and techno festivals (Sziget, Balaton Sound, Bonus, Hyperspace, B My Lake). He’s the resident of the new club called Kasino where he represents his club nights including the 10-year-old I Love Deep parties. Thanks to Budai’s gift and popularity, he has played at some legendary clubs like Fabric and Ministry of Sound. He’s a regular at the English capital where he also played at Grind and Kolis. He played alongside Nick Warren in Zurich and has been to Dublin several times. 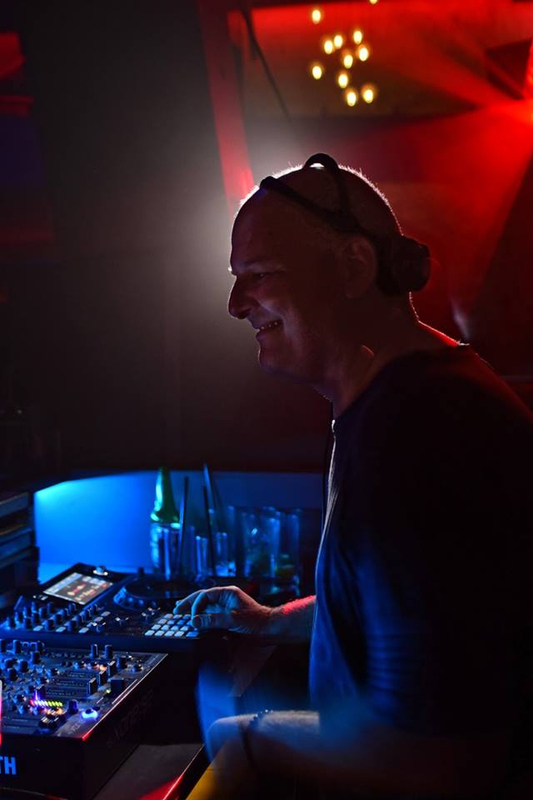 In Hungary, he stars the ‘Budai All Night Long’ birthday party for the 8th time in March where Hungary’s most popular techno DJ entertains his crowd all night long. "Amnesia 20 Éves Jubileumi Buli"
"2 Napos Nyárzáró Party - 1. nap"